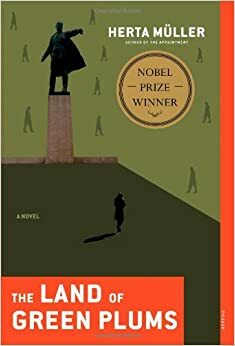 On Herta Műller's The Land of Green Plums. The First Line: When we don't speak, said Edgar, we become unbearable, and when we do, we make fools of ourselves. Set in Romania during Ceauşecu's reign, this story follows four college friends over the years as they endure searches, interrogations, and the rising tides of fear brought on by the oppressive society in which they live. They hide their poems, guard their conversations, and use secret codes in their letters. They're assigned jobs after college, then those jobs are taken away. And they each dream of escape. "Back then, when Edgar, Kurt, Georg, and I were still students, there were lots of things we saw in the exact same way. But bad luck fell on each of us differently, once we were scattered about the country. We remained dependent on one another. The letters with hairs in them only served to let each of us read his own fears in the handwriting of another...Each of us imagined how we might desert our friends by committing suicide. And we each accused the others--without ever saying so--of being the sole reason for our not going through with it. In this way, we each became self-righteous, armed with a ready silence that blamed the others for the fact that we were each still alive instead of dead. This book drew me in with the first sentence and didn't let go until the last. It's a challenging, yet compelling read, with a narrative style reminiscent of two of Virginia Woolf's novels: Jacob's Room and The Waves--which means this novel isn't exactly simple or straight-forward, but if you have a little patience, all the pieces do eventually come together. Műller's storytelling is unflinching, and sometimes heartbreaking; there's also a lot of poetry in her prose. To be honest, when I decided to read this book, I wasn't sure I was going to enjoy it, or even get through it, but I ended up really liking it! So here's to another outstanding read in 2017. "Morry leaned far out the window and looked above and below, but there was no woman in the sky nor any sign of a miracle for blocks around. Girls from the Works in light dresses wandered, giggling, up and down the street waiting for the Casino Dance Hall above Bauer's to open, farm couples stood transfixed before Robbin's Jewelry Store window, the door of Delaney's Saloon swung open, shut, open, shut, releasing then withdrawing the laughter and the gaudy music of a pianola. Everything was as it was on any other Thursday night in Lamptown." "Suddenly he thought he had lived over stores long enough, he wanted someplace to stretch his long limbs, someplace where he belonged...Morry felt homesick for spacious houses set in spreading lawns fringed with great calm shade trees--he was homesick for things he had never known, for families he had only read about, he missed people--old friends that had lived only in the novels he had read." "The Chicago train thundered by with a fleeting glimpse of white-jacketed porters and lit-up dining cars. Morry and Jen watched it hungrily, they were on that train whizzing through Lamptown on their way to someplace, someplace wonderful.... The train went ripping through further silence leaving only a humming in the air and a smoky message painted on the sky. 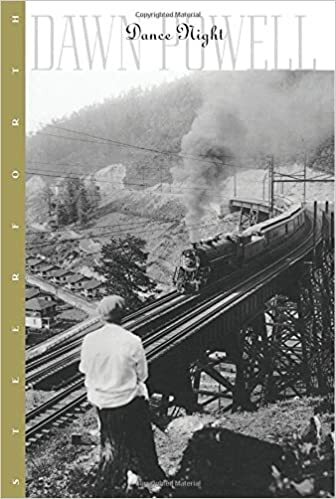 Morry and Jen looked quickly at each other--this was the thing that always bound them--trains hunting out unknown cities, convincing proof of adventure far off, of destiny somewhere waiting of things beyond Lamptown..."
Backlist Reader Challenge Update: 2 books read, 8 to go. "...it's the people that matter." 1947 was a turbulent time for Muslims, Sikhs, and Hindus in India--the summer of Partition when Pakistan split away and one country divided into two. It is into this maelstrom that Majmudar sets his characters: Sonia and her twin boys, Shankar and Keshav, whose Brahmin-born father, though dead, still watches over them; Simran Kaur, a young Sikh girl whose own father would rather see her dead than defiled; and Ibrahim Masud, an elderly Muslim doctor whose compassion sees only wounds to heal, not ethnicities or creeds. Living in Lahore, Sonia knows she and her young sons "have to leave. This is Pakistan now. The land meant to be pak, pure. Pure of them." But at the crowded train station, Shankar and Keshav get separated from her and must head east into India on their own. In the Punjab, Masud watches his neighborhood as it burns and realizes "he isn't Ibrahim Masud to anyone but himself now. His profession, too, means nothing. Muslim: that's suddenly the defining thing about him ... The official line is that he can stay if he wants or leave for Pakistan. His choice--stay here in India or shift west. Just over there. Like crossing the aisle on a bus." And then there's Simran, who refuses to drink the poisoned milk her father prepares for her and the rest of her family, and who must flee her own home in order to stay alive. But once on her own, navigating the refugee-filled roads and trying to avoid the men who would use her, or sell her, she begins to rethink her decision. I loved these characters, especially Dr. Masud and his stammering gentleness who "knows that caregiving is neither Muslim, nor Sikh, nor Hindu. Or rather it is all three of these." And I loved Majmudar's unconventional narrator--the spirit of the twins' dead father--who knows what's ahead for his sons and for Simran and Masud, and who watches over all of them until their journeys finally intersect. I also loved Majmudar's lyrical prose. 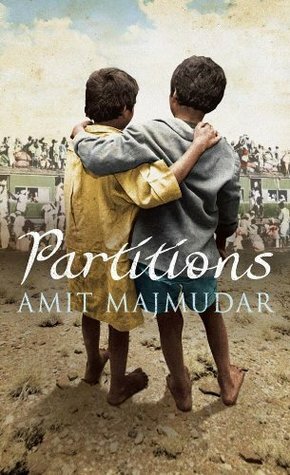 And how much I learned reading this book about Partition and the violence that ensued on both sides during it. And to think, I almost didn't check this book out of the library; I would have missed out on so much if I'd left it sitting on the M shelf. I'm so glad I didn't. Because this book is amazing! How little we knew each other, though for centuries our homes had shared walls. How little we will learn, now that all we share is a border. If there is one thing dangerously abundant right now, it is certainty. Certainty makes possible in men the most extreme good and the most extreme evil. A land like the Punjab, five rivers and three faiths, could do with a little less certainty. It sounded so trifling, he thought. A beach and a case. So harmless. But he himself had never called it the beach case. He thought it degraded one of the most repulsive murders he had investigated. It sounded like a newspaper headline. He himself had always referred to the case as the Nordkoster. Concrete. What a policeman would say. This is the cold case police student Olivia Ronning decides to investigate over her summer break, partly because it's a case her father once worked, partly because the murder victim, a pregnant woman drowned by the spring tide, was never identified. But it's not an easy case on which to find out any new information; Olivia's father is dead, and the other officer who investigated the murder is missing. Still, Olivia is persistent. She even makes a special trip to Nordkoster Island. But the more questions she asks, the closer she comes to some very ugly truths...and to certain people who do not want her digging up the secrets of the past. There are several other story lines in this Scandinavian crime thrillers: some young toughs have not only been beating up the homelss, but filming the horrific attacks to post online, and protests have ramped up against Bertil Magnuson, one of Sweden's richest and most influential businessmen, and his illegal mining practices in Africa. But while there's a lot to keep track of, authors Cilla and Rolf Borjlind do an expert job of weaving all the separate parts together into one compelling and suspenseful thriller. I really liked Olivia as a character, along with Jelle, one of the homeless men. And I found the overall mystery intriguing. Some of the twists I guessed, but there were others I didn't. 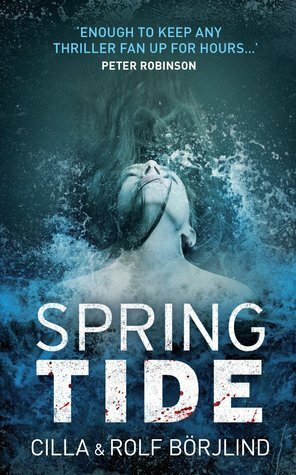 At 473 pages, Spring Tide is a long read, but it's also a good one. I never bogged down once. Here's hoping the Borjlinds write more just like it! "It is sometimes said that butlers only truly exist in England. Other countries, whatever title is actually used, have only manservants." 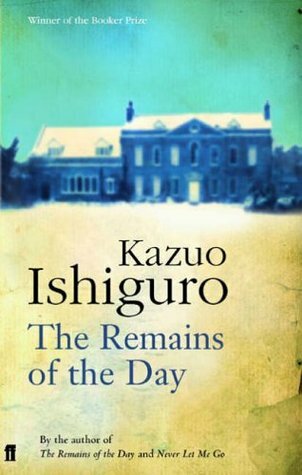 I've been meaning to read The Remains of the Day by Kazuo Ishiguro ever since I saw the movie version of it starring Anthony Hopkins and Emma Thompson. And since one of my bookish goals this year is to read books from off my TBR list, I decided it was time I finally checked it out of the library...and checked it off my list. "Perhaps, then, there is something to his advice that I should cease looking back so much, that I should adopt a more positive outlook and try to make the best of what remains of my day. After all, what can we ever gain in forever looking back and blaming ourselves if our lives have not turned out quite as we might have wished? ... Surely it is enough that the likes of you and I at least try to make our small contribution count for something true and worthy." 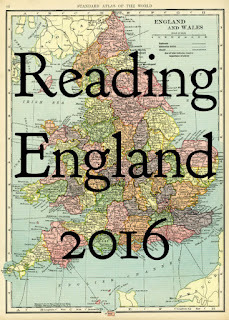 Backlist Reader Challenge: 1 book read; 9 to go. It's always an eye-opening experience to read about the sad lives of young girls trapped in third world countries like Yemen where poverty, illiteracy and ignorance are rampant, and where a man's "honor" trumps everything including justice and the basic human rights of women. In Yemen, there's an old tribal proverb: "To guarantee a happy marriage, marry a nine-year-old-girl." 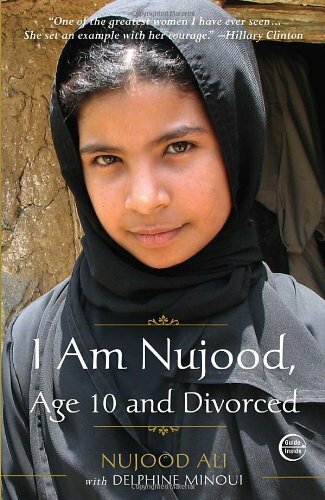 Nujood's father marries her off to a stranger when she is only 10. Her husband is more than twice her age and rapes her on their wedding night. After several months of his brutal treatment, Nujood manages to escape and make her way to the courthouse in Sana'a where she asks a judge to grant her a divorce. Her case, the first in Yemen's history, made international headlines. I can see why. Somehow this young girl of 10 found the courage to defy her father, her husband, and the ancient customs of her country to speak her own mind and demand her freedom. I'm a simple village girl whose family had to move to the capital, and I have always obeyed the orders of my father and brothers. Since forever, I have learned to say yes to everything. ... Today I have decided to say no. Her story, simply yet powerfully told, made me want to cry. It also made me wish I could do more to help girls like her. Because while Nujood's story turns out well in the end, there are thousands of others like her who haven't gotten their happy endings yet. That's why it's so important for books like this one not only to be written, but to be read. At only 178 pages long, Nujood's story is an unforgettable and inspiring one. I'm very glad I read it. I've been thinking about what I hope to accomplish over the next twelve months, and what new adventures I'd like to embark on in 2017--from writing a novel, to trying something new every week, to possibly getting another stamp in my passport. But while setting New Year's goals and resolutions can be a little intimidating, deciding what my 2017 bookish goals will be is easy. 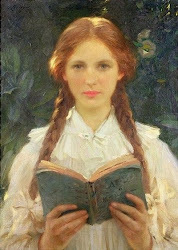 See, I already have a list of books I want to read this year; a list that seems to grow with every book review I read. It's full of classics and other, more contemporary, works that I've been meaning to read for years, along with some recent non-fiction books, new authors, old favorites, unfinished series, unread books on my TBR shelf, and more books than I want to admit recommended to me by Goodreads. So, I have plenty to read in 2017. The only problem is that I'm easily distracted by the myriad of books I find at the library or in bookstores. Which is why I decided to sign up for the Backlist Reader Challenge. 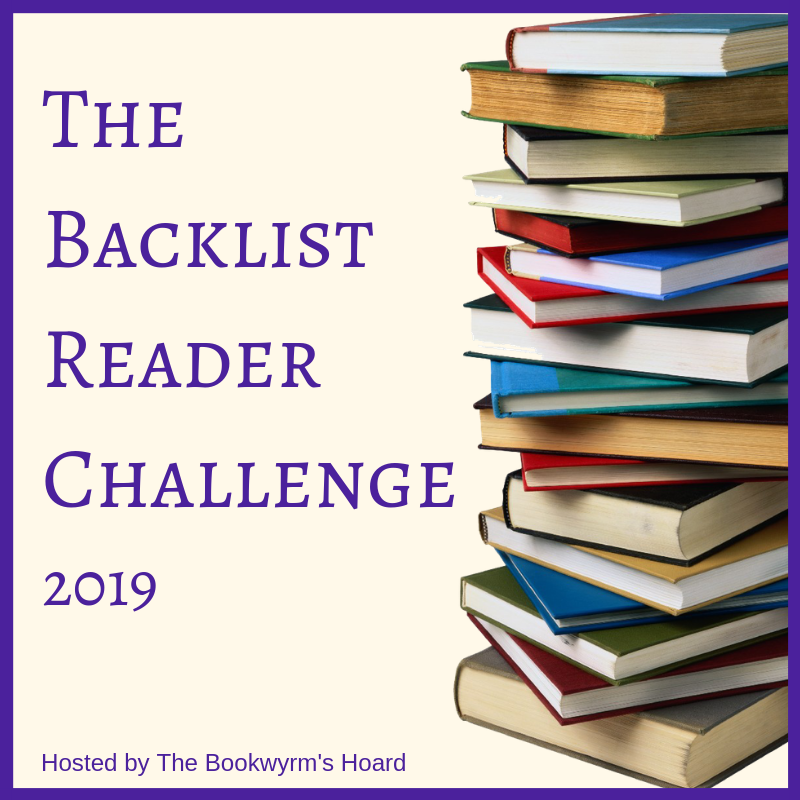 Hosted by Lark at The Bookwyrm's Hoard, "the Backlist Reader Challenge is a year-long challenge for all those older books that have been piling up on your TBR pile and list--not just the ones you own, but the ones you've been wanting to read for awhile now." 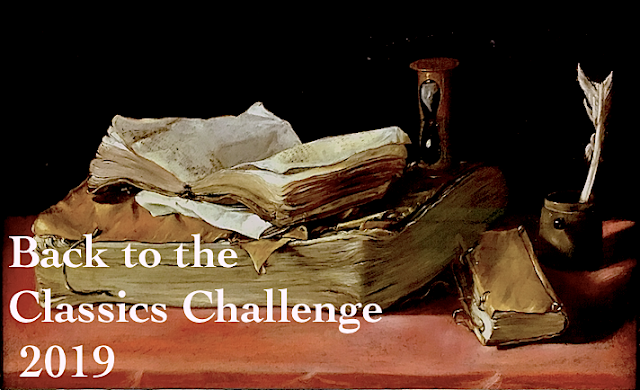 The great thing about this challenge is that I can set my own goal and choose whatever books I want to read from my own TBR list. Which makes it a perfect challenge for me; so, even though I originally wasn't going to sign up for any reading challenges this year, I just couldn't resist this one. My tentative goal: 10 books -- 5 that have been sitting on my TBR shelf for more than a year, and 5 that have been on my To Read list even longer than that. And what are those books?